There’s a new development in what I personally keep calling the Margaret Atwoodaissance even though it’s a mouthful. 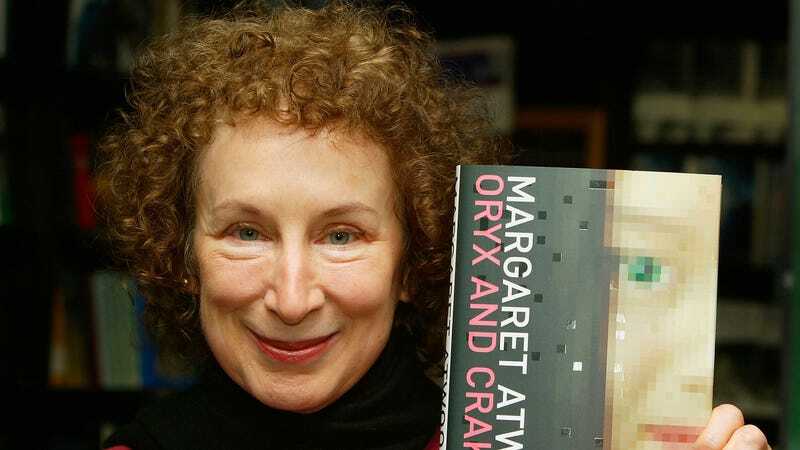 Margaret Atwood revealed in a recent New York Times interview about the upcoming Alias Grace television adaptation (written and produced by fellow Canadian Sarah Polley) that there are two other books by her in development for TV. “We will not talk about them until they’re real,” she told the newspaper. So what are they? We know Darren Aronofsky has been trying to make the MadAddam trilogy (which includes Oryx and Crake) happen. MGM TV also acquired the TV rights to Atwood’s novel The Heart Goes Last just last year, so that could be one of the mystery projects she’s referring to. The profile also details how Alias Grace made its way onto the small screen. Polley wanted to make the adaptation since she was a teenager and wrote the entire mini-series out herself, without a writing staff. And as the show came together through Trump’s election, the climate reportedly emboldened some aspects of the story, such as immigration and abortion.